Posted 5:20 pm by webdev & filed under Uncategorized. Titanic Tribute Cruise Set for October 2015! Posted 2:49 pm by Erin Wicker & filed under 1912, 2015, Branson, Captain Smith, Cruise, Halifax, molly brown, New York, pigeon forge, Princess Cruise, Titanic, titanic museum attraction, US TOURS. You’ll have the afternoon to explore the decks, locate shops and restaurants, and perhaps share stories over cappuccinos with fellow Titaniacs! A welcoming cocktail reception will be held before dinner. Special arrangements have been made to seat Titanic cruise passengers together in a beautiful, getting-to-know-you setting. After dinner, we’ll gather for a special reception with the Titanic Museum Attraction’s ship Commander, Captain Lowell. The Captain is a noted authority on Titanic history and lore and is the author of “Into the Deep,” a best seller. Titanic Museum Attraction’s spokes person and historian will join Captain Lowell in introducing our very special guest, Helen Bengizer, the great-granddaughter of Margaret “Unsinkable Molly” Brown. All three will be part of your weeklong adventure. This is your first full day at sea. The Regal Princess will not dock until reaching her Halifax, Nova Scotia destination the next day. This Titanic event-filled day begins with a Devotion by Captain Lowell honoring Titanic’s Heroes of Faith. Their stories of hope, courage and redemption are as relevant todays as they were 103 years ago. Among them, the story of Reverend Harper who wrapped his 6-year-old daughter in a blanket, put her in a life boat, gave his lifejacket to another and spent his last moments comforting lost souls with the promise of eternal life. This afternoon you’re invited to join Captain Lowell in the Ship’s Theater for a special screening of the 1958 Titanic movie classic, A Night to Remember. This British film is considered cinema’s most subtle and best dramatization of this monumental 20th Century catastrophe. I liked A Night to Remember…and admire the film, confessed 1997 TITANIC Academy Award winning Director, James Cameron. Immediately following the film, Captain Lowell will share his experiences while diving to the Titanic wreck site. It took him 2-hours to reach the ship, 7-hours to explore the crumbling remains and another 2-hours to resurface. He brought back a story of unimaginable adventure that he’ll share with you in a Q & A session. Tonight, following the Regal Princess’ Formal Dinner you’ll be treated to a night of danceable music, provided exclusively for you by the ship’s orchestra. Hits from 1912 to the jazz age and beyond will keep you swinging and swaying…and remembering, too, the night Band Leader, Wallace Hartley and his loyal band members played on. This morning, Regal Princess docks in Halifax, capital city of Nova Scotia. Here, you’ll board a private coach for an escorted tour of the city and a visit to the Fairview Lawn Cemetery where a special memorial ceremony will be held in honor of the 100 or more Titanic victims who are buried here. Among them, Luigi Gotti, owner and manager of Titanic’s Ala Carte restaurant; Alma Paulson, 29, lost with four children; and Ernest Edward Samuel Freeman, secretary to White Star Chairman, Bruce Ismay. Most of the gravestones, erected in the fall of 1912 and paid for by the White Star Lines, are stark and stunning reminders of what happened here. Shopping and lunch await at Peggy’s Cove, one of Nova Scotia’s most breathtaking, famous and photographed places, home of an iconic lighthouse. This unique sea beacon perched atop massive granite rocks also serves as a post office. You’ll want to send friends postcards or selfies from this picturesque location. Before returning to the ship you’ll visit the Maritime Museum of the Atlantic. Here an exhibit shares the story of Titanic and the key role Halifax played in the disaster. Some of the most significant artifacts and records related to Titanic can be seen here, including a rare collection of wooden fragments from the ship, a perfectly preserved deckchair and the “Unknown Child’s” shoe. St. John is the only city on the shore of the Bay of Fundy, home to the world’s highest tides. There’s a storybook quality to this historic town. Here you’ll be on your own to explore enchanting old town, cultural attractions and natural wonders. Regal Princess shore tours are available. This evening, following dinner, our Titanic group will attend a private, cocktail reception for Helen Bengizer “Molly” Brown’s great granddaughter. This is an up close and personal moment for you to get to know this remarkable woman and to hear amazing stories about her famed ancestor that only she can tell. This port of call holds special meaning for Titanic fans. It is here in this Gilded Age Eden that the richest man aboard Titanic, John Jacob Astor first met and later married, his dearest love, Madeleine Force. This exclusive colony of wealth is nestled on the east side of Mt. Desert Island. Surrounded by Acadia National Park, Bar Harbor features some of the most spectacular scenery on the Eastern Seaboard. This idyllic place was home to the Astors, Rockefellers, and Vanderbilts for over 200 years. There are a number of shore tours available here. America.” Today this city of 800,000 retains its vitality, combining historic districts with revitalized urban centers while remaining faithful to its venerable roots. It is a city every American should visit at least once. Follow the Freedom Trail along three of the most historic miles in the country. See the site of the Boston Tea Party, trace the route of Paul Revere’s famous ride, and stand on the bridge where Minutemen fired “the shot heard around the world.” In the old Charleston Navy Yard you can see the USS Constitution, the nation’s oldest commissioned warship. And there were 15 Titanic passengers connected to Boston, MA. Hear their stories. Newport, Rhode Island is your final stop. Here you’ll enjoy many exciting and unique events. First stop, the world renowned Newport Art Museum with its rich collection of Rhode Island artists’ historic and contemporary art work. The museum is housed in the 151-year-old mansion built for John Griswold and has been home to the museum since 1916. Costumed docents, in character, walk you through the displays while providing colorful commentary on the museum’s history. Upon completion of your museum tour you’re invited to join costume Madeleine and John Jacob Astor for a fabulous three-course, plated luncheon featuring live music and private moments with your pretend Astor hosts. Following your sit-down with the Astors, you’ll step into a world of exceptional elegance and inspiration in architecture, art, interior design and landscaping that can only be found in the Grand Mansions of Newport. Here’s where the American billionaires of the Gilded Age lived, looked after by a household staff that would rival that of Downton Abbey. Featured in this tour is a visit to the Marble House, built in 1892 for Mr. and Mrs. William K. Vanderbilt. It was the social and architectural landmark inspired by the Petit Trianon at Versailles. This magnificent structure changed Newport from an unpretentious collection of small wooden houses to an exclusive settlement of opulent stone palaces. Find out why Mr. and Mrs. Vanderbilt purchased tickets on the Titanic and decided to change ships at the last minute. However, Mr. Vanderbilt’s valet did travel on the Titanic. Did he make it? Find out his story. This evening our group will enjoy a Farewell Dinner in The Crown Grill, one of the ship’s 10 specialty restaurants. Relax and share your thoughts with Helen Bengizer, Captain Lowell and your fellow traveling companions as The Regal Princess sails to New York, and the end of your Titanic adventure. The Regal Princess docks this morning in New York. Debarking will begin after breakfast. Groups arriving by coach will have a scheduled pick up time. Individuals flying home will require airport taxi service to the airport. If your car was stored at the pier, airport transportation service is available. heart of The City That Never Sleeps. 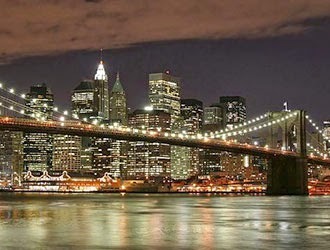 Here you’ll meet your Tour Manager and enjoy an evening on your own, exploring New York City’s many famous landmarks, theatrical attractions and finest restaurants. Posted 6:05 pm by Erin Wicker & filed under Uncategorized. Our Titanic Museum Attractions are excited to step into the New Year 2015. Why? Because our passion is telling the stories of the passengers and crew who sailed Titanic 103 years ago. However, We don’t just say that’s our passion; we mean it. We talk the talk and walk the walk. Our crew members have each attended Titanic University, where they learned all aspects of Titanic history. They spend their free time reading books about Titanic, rehearsing for plays about Titanic, researching the Edwardian Era that surrounded Titanic in 1912, etc. We are dedicated to our passion. And would you like to know what our favorite reward is for all of this hard work and studying??? When we see a child come into the ship with curiosity and awe who has Titanic in their heart. We know the type. They can’t wait to step foot inside. Oh and by the way, they usually know just about as much Titanic history as we do. This year, 2015 has the promise to spread the history and knowledge of Titanic to the next generation of Titaniacs. We are reaching new visitors who share our passion in their hearts. We love the reminders we get on TripAdvisor, Facebook, and Twitter about these passionate types. Here are a few reviews we would like to share with you. We have shared them with our entire staff. Our hearts are filled with love and passion and we can’t wait to meet more people like you!! Happy New Year from the Titanic CREW!!! 2015 Means New Reasons to visit the Titanic Museum Attraction in Branson, Mo. Posted 4:46 pm by Erin Wicker & filed under 1912, 2015 at Titanic, 2015 Events, Get married on Grand Staircase, things to do in branson, Titanic Branson, Titanic Museum, Valentines Day in Branson. We’ve built a ship-shaped permanent, interactive Titanic Museum Attraction in Branson, Mo. Everyone knows the name Titanic. Everyone knows Titanic hit an iceberg! Everyone knows Titanic was lost! But there is so much more to her story. Discover the stories of the passengers and crew who sailed Titanic, as our crew and interactive galleries bring them to life. We are more than just a museum; we are a Permanent, Interactive Attraction for all ages. Closed January 5th – 7th for a deep cleaning of ship! Friday, January 23 – Night at the Museum Sleepover. Reservations Required. February – February is Sweetheart month at the Titanic Museum Attraction. Marriage Proposals * Engagements * Weddings * Vow Renewals – Celebrate yours on the Grand Staircase! Every February, Titanic Museum Attraction goes overboard to help visitors celebrate their own love stories, complete with everything their hearts desire. From surprise proposals and wedding engagements to awesome weddings and heart-warming marriage-vow renewals officiated by Titanic’s Captain Smith. All ceremonies can be held on the magnificent Grand Staircase, an exact replica of the original and just like the one Rose and Jack ascended in James Cameron’s TITANIC. Romance and adventure were in the air when Titanic set sail on April 10, 1912. Twelve couples traveling on Titanic were on their honeymoon , nine in first class. There were also young, brides-to-be sailing to America to start a new life there. 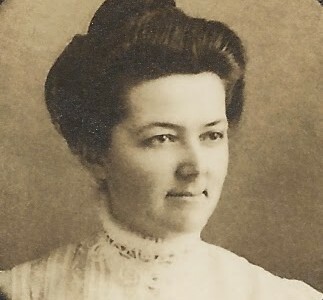 Rose DeWitt Bukater, the fictional, co-star in the Academy Award winning TITANIC was among this group. Experience the power of love during Titanic’s Sweetheart Month this February 2015. Join us as we pay tribute to romance and the lasting love of devoted couples everywhere. Our Vow Renewals are held in elegant style on Titanic’s Grand Staircase; every ceremony is presided over by the ship’s captain. Reservations are required. Our appointment book fills rapidly for this extremely popular event. To keep the romance alive and steer clear of icebergs, we recommend immediate reservations! On Saturday, Feb.14. Exclusive – Come Meet Margaret Brown’s Great Granddaughter, Helen Benziger. Entire Month of March is Irish Celebration – Hardworking, skilled Irish laborers helped build Titanic in Belfast. In fact, many Irish men and women served as crew on her maiden voyage. As a passenger group, the Irish outnumbered all other nationalities on board. The Titanic Museum Attraction will honored the 159 Irish passengers and crew that were aboard Titanic. How do we pay tribute? By simply telling their stories. Free Event in Parking Lot! Mark your calendars! Free Event! Titanic’s Father’s Day Boat Show is Saturday, June 20th and Sunday, June 21st from 9am-5pm at Titanic Branson. This year, We’ve invited Branson West Marine to drop anchor in our parking lot and show off some of their newest, fastest, hottest models from their show room. This exclusive Father’s Day event is free and open to the public. Perfect gift for Dad! The corner of 76 Country Boulevard and Gretna Road in Branson will have an exciting new, nighttime glow when the Titanic Museum Attraction lights its entrance with more than 1,500 enchanting luminaries (festival lights) to welcome visitors to the area and to give them a picture-perfect opportunity to shoot memorable, 2014 holiday photos. season are sure to hail the arrival of Christmas 2015. Titanic will join the Branson community to kick off the Annual Ozark Mountain Christmas with the official lighting ceremonies. You’re invited to stop by November thru December for Titanic’s holiday spirit. The ship will be aglow. Come exchange greetings with the jolly Titanic crew or enjoy the glittering lights and the festive decorations. The Titanic Gift Shop will be open every day, including free public access to hundreds of unique Titanic Christmas gift ideas and collectibles. A New Year means New Reasons To Visit the Titanic Museum Attraction in Pigeon Forge, Tn. Posted 4:20 pm by Erin Wicker & filed under 1912, 2015 at Titanic, 2015 Events, Get married on Grand Staircase, Irish Month, things to do in Pigeon Forge, Titanic Museum, Titanic; Pigeon Forge, Valentines Day in Pigeon Forge. We’ve built a ship-shaped permanent, interactive Titanic Museum Attraction in Pigeon Forge, Tn. Everyone knows the name Titanic! Everyone knows that Titanic hit an iceberg! Everyone knows Titanic was lost! But there is so much more to her story. to awesome weddings and heart-warming marriage-vow renewals officiated by our Titanic Captain Smith. All ceremonies can be held on the magnificent Grand Staircase, an exact replica of the original and just like the one Rose and Jack ascended in James Cameron’s TITANIC. Experience the power of love during Titanic’s Sweetheart Month this February 2015. Join us as we pay tribute to romance and the lasting love of devoted couples everywhere. Our Vow Renewals are held in elegant style on Titanic’s Grand Staircase. Reservations are required. Our appointment book fills rapidly for this extremely popular event. To keep the romance alive and steer clear of icebergs, we recommend immediate reservations at 800-381-7670. Hardworking, skilled Irish laborers helped build Titanic in Belfast, Northern Ireland. In fact, many Irish men and women served as crew on her maiden voyage. As a passenger group, the Irish outnumbered all other nationalities on board. The Titanic Museum Attraction honors the 159 Irish passengers and crew that were aboard Titanic. How do we pay tribute? By simply telling their stories. Planning a Thanksgiving Trip to Smoky Mountain area? Come visit the Titanic in Pigeon Forge! Thanksgiving evening, Thursday, November 26th at 7pm, the night sky will be ablaze in colorful bursts of light and fantasy during the Titanic Museum Attraction’s 4th annual fireworks extravaganza honoring the lives and legacies of the ship’s passengers, crew and rescuers. It will be the largest fireworks event of the year on the Smoky Mountain Parkway. Please call 800-381-7670 for additional information or reservations. Thanks!! Step back in time and see how the Titanic Grand Staircase and ship would have been decorated in the 1912 Edwardian period. The entire ship will be lit up for Christmas with lights and Christmas trees galore. For more information, please contact us at 800-381-7670. Posted 3:08 pm by Erin Wicker & filed under Uncategorized. At the turn of the last century most of the things we take for granted now, were just beginning to change the way people lived their lives. Electric lights, automobiles, airplanes, cameras, wireless transmission, telephones, motion pictures were all new. It was an exciting time, but a troubling one, too, for a Christian based faith group in the small town of Bally, Pennsylvania. They were Mennonites, descendants of German emigrants. Throughout their history they have been a rural people, traditionally farmers who believed in simple living and in using the Bible as their guide. This was the world Annie Funk was born into in 1874. It was a world she embraced and loved. So much so, that from early childhood she felt her calling was to spread God’s word throughout the country and beyond. Upon graduating from Bible Training School, she worked with struggling immigrants in Tennessee. In December 1906, her dream of becoming a missionary was realized when she was sent to India as the first female Mennonite missionary. When a friend expressed fear for her safety on the ocean voyage she said, “Our heavenly Father is as near to us on sea as on land. My trust is in Him.” I have no fear.” In five years her trust would be tested as never before. Arriving in India, Annie was filled with an exuberant sense of purpose and quickly laid the groundwork for creating a school and hostel for poor girls. She was deeply troubled by the lack of educational opportunities for girls and was determined to help enlighten the community she served. In time, hard work and determination opened hearts and doors to acceptance and understanding. Annie hadn’t left her post in five years, but when told her Mother was seriously ill she immediately packed her bags and set-off on the long journey home. On her 38th birthday she boarded Titanic in Southampton, England, not knowing she had only 5 more days to live. It could have been longer, she could have survived the sinking but in a final act of courage and sacrifice, she got out of a lifeboat to give her seat to a young mother and baby. Annie’s body was never identified. on at the Titanic Museum Attraction. Posted 3:05 pm by Erin Wicker & filed under cyber monday, fireworks, pigeon forge, tennessee, thanksgiving, things to do, Titanic, titanic museum attraction. It’s that time of year again. The leaves are turning, the air is crisp and cool and we begin to review our 2014 resolutions to make sure we have accomplished everything that we set forth to do. And, we begin planning our Thanksgiving holiday. I have heard a lot of complaints online this year about Thanksgiving. Why do we have to jump from Halloween to Christmas in the retail stores? What about Thanksgiving? Well, my friends, we don’t have to conform to the ways of the retail world. We can give Thanksgiving the attention it deserves. And at the Titanic Museum Attraction, our crew thinks it deserves a huge Thanksgiving holiday celebration. Why? We know that our Titanic Attractions exist because of people like you. People who love history and want to know more about the history of the Titanic. People who want to hear and share the stories of the passengers and crew who sailed Her over 100 years ago. We call you “Titaniacs” and we couldn’t be more pleased with your enthusiasm and love for our ships. Our crew family has a new tradition, 5 years running. We gather together with friends, relatives, co-workers, and patrons to enjoy a magnificent fireworks display over the Titanic Museum Attraction in Pigeon Forge. This year, it kicks off at 7pm on Thanksgiving evening, Thursday, November 27th and is followed by a REAL LIVE Snow fall off the bow of the ship. It is our way of saying Thank You. We hope you will come tour the ship, learn about the families who sailed on Titanic, and enjoy a celebration of Thanksgiving with us. We’d be honored to have you. How to Travel To Branson This Christmas on a Budget. Posted 3:53 pm by Erin Wicker & filed under Branson Attractions, christmas in Branson, Titanic Branson, titanic museum attraction, Travel to Branson. We all have one; some are smaller than others…. A BUDGET. Gross. I wish I had endless riches where I could travel the world, end world hunger, and clear up the deficit, but I don’t. Like you, I am on a budget, but still want to enjoy the season with my family and make memories. So, I thought I would share with you some clever ways to travel to Branson, Mo. this Christmas season and save money. By living in this Gorgeous Ozark Town called Branson, Mo., I know some secrets to saving cash while having a blast and I think they will prove of value to you on your mission to make Christmas a success for your family in 2014. Here we go…..
5. Don’t forget to check out Silver Dollar City’s Special Offers page before you pay full price at the door. 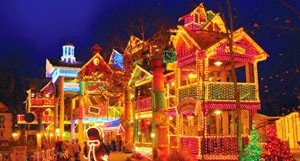 http://www.silverdollarcity.com/offers.aspx This year, they have a gorgeous new Christmas parade complete with Rudolph the Red Nosed Reindeer and if you take the train ride, you can hear all about the birth of Christ. If is a great family experience. 7. Tanger Outlets in Branson, Mo. has some great coupons on their website here: http://www.tangeroutlet.com/branson/coupons OR you can purchase a coupon book at their office on-site. It is a really fantastic shopping experience. Plus, they are expanding and new stores are coming soon!! With this list, you can’t go wrong. Your Christmas vacation to Branson, Mo. will be magical. 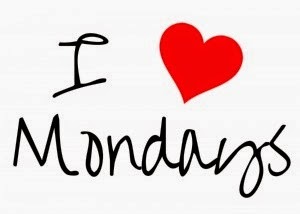 MONDAY is Jewelry Day at Titanic! Posted 3:58 pm by Erin Wicker & filed under Attraction, Branson, events, Facebook, jewelry, pigeon forge, Titanic, Titanic Museum. Attention Titanic Museum Attraction Fans. MONDAY is Jewelry Day at Titanic! Each Monday in October, the Titanic Museum Attraction will feature a different 1st Class Jewelry piece at a special rate. There will be a limited quantity available, so don’t delay. Today’s Titanic Jewelry Special Offer is this Beautiful large Cameo necklace on a 28” gold plated chain – Now only $29.99 + Tax and Shipping. Posted 4:07 pm by Erin Wicker & filed under Attraction, Branson, events, Facebook, jewelry, pigeon forge, Titanic, Titanic Museum. Did you know that the Owner of the Titanic Museum Attractions co-led a team in 1987 Expedition to Titanic? His team took 32 dives down to the wreckage area and brought back these amazing photos. Photo of ship, crew, and submersible during the 1987 expedition to Titanic. Our co-owner of the Titanic Museum Attraction was there. co-owner traveled in this submersible in 1987 down to Titanic. -Photo captures side of the ship sitting at the bottom of the ocean. Discover more about Mr. Joslyn’s dive and how the Titanic Museum Attractions came to be by clicking here.